Mumbai: India is not investing adequately in its demographic dividend–the world’s largest–and its potential will slide further if the government’s last budget before general elections does not acknowledge this fact. India’s expenditure on higher education as a percentage of its total budget has remained largely stagnant, hovering around an average 1.47% over 12 years to 2018-19. This stagnation accompanies the datum that India has the world’s largest population of young people aged 15 to 24, (241 million or 18% of all Indians). India is ahead of China (169.4 million), according to a 2017 report by the United Nations Department of Economic and Social Affairs. “Higher education was allocated around Rs 35,000 crore in 2018-19–that is a small amount for a country the size of India,” said Amit Kapoor, chair of the Institute for Competitiveness, India, the Indian chapter of the global network of the Institute for Strategy and Competitiveness at Harvard Business School. 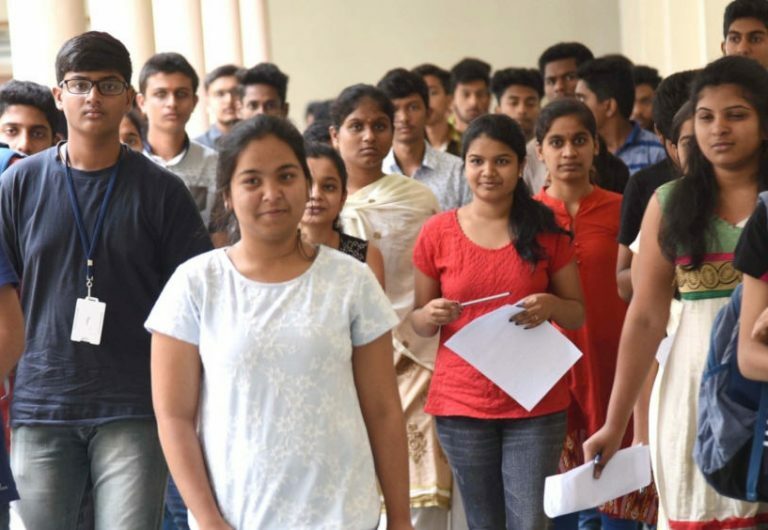 India’s central universities suffer acutely for want of teaching resources–33% of vacancies remained unfilled as on July 2018, as IndiaSpend reported on August 16, 2018. Also, India’s expenditure on research is 0.62% of the GDP, lower than all the countries in the BRICS group and less than one-third of the United States (2.74%) and Europe (1.85%). The proportion of allocation to higher education has not changed much since 2007-08. The highest percentage of allocation since 2007-08 was in 2017-18 when the BJP-led National Democratic Alliance (NDA) government spent 1.62% of the budget on higher education. The lowest proportion of allocation too was under the current NDA government–1.29% (Rs 23152.48 crore) in 2014-15. Government allocation for higher education increased by 0.42% from Rs 34,862.46 crore in 2017-18 to Rs 35,010.29 crore in 2018-19. But the proportion of the allocation to the total budget fell in the period–from 1.62%, by 0.19 percentage points, to 1.43%.